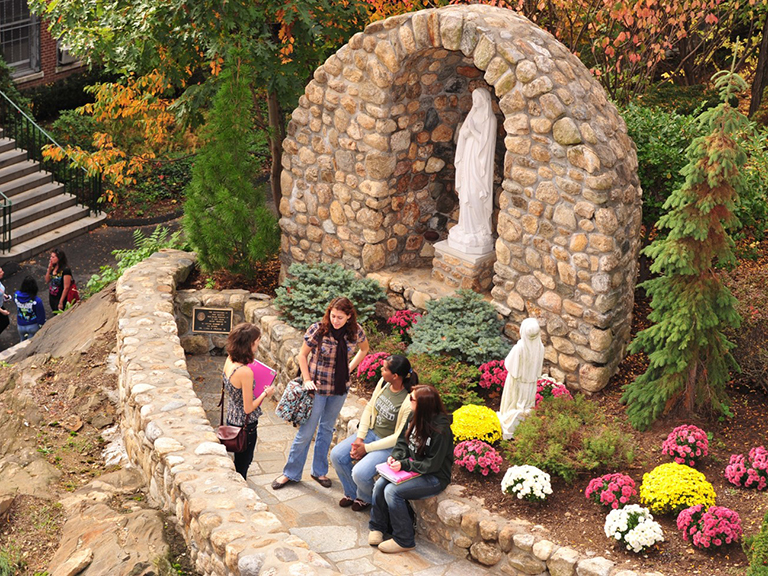 The purpose of Manhattan College's institutional effectiveness cycle is to continuously assess and measure the extent to which the College is fulfilling its Lasallian Catholic mission, making progress in its strategic plan (Renewing the Promise 2025), and effectively allocating its resources for these priorities. The IE cycle is the academic calendar year, based on the College's budget from July 1st through June 30th. The Institutional Effectiveness Committee (IEC) and the Academic Assessment Committee (AAC) provide feedback to leadership in the summer following each academic year. The cycle coordinates with processes of annual reporting and assessment of student learning, budgeting and the evaluation of progress made in all areas of the strategic plan (core goals, key strategies and implementing mechanisms strategic plan). View the full integrated planning calendar. Manhattan College is engaged in a multi-year, multi-phase strategic plan that serves as the guide for College operations and initiatives. Read more about our mission.